Air Asia Promos 2019 to 2020: Php 0 (Zero) Base Fare for Summer! 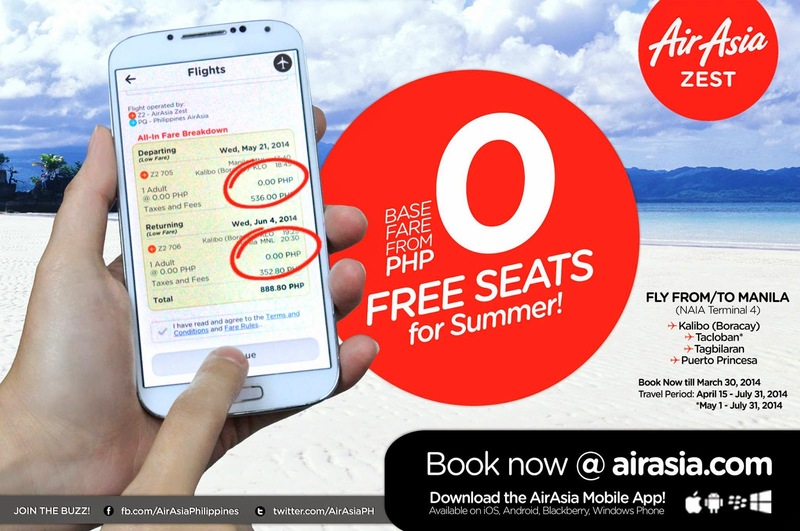 Air Asia Promo Fares: Our FREE SEATS for Summer are still up for grabs and are just few taps away! Book your P0-base fare seats to/from Manila, Boracay (Kalibo), Puerto Princesa, Bohol (Tagbilaran) and Tacloban via AirAsia Mobile App! *To view this on mobile, please head over to www.mobile.airasia.com or download our AirAsia App at www.airasia.com/apps to avail our low fares even if you're always on-the-go! To know more about our FREE SEATS and to see the breakdown of your all-in fares, please head over to http://on.fb.me/1gsdqcD. Grab your phones and our FREE SEATS now! ‘Share’ this with your family and friends now!